Baby Weight Chart – 10+ Free PDF Documents Download! Every parent wishes to chart the baby’s growth from birth onwards to 2 years. This is made possible by using a baby weight chart in addition to going to the doctor. This chart is created professionally with comparisons to help you know if your baby is within the recommended limits or not. They can be downloaded in formats like PDF, Word, RTF, Excel, XPS and PSD. 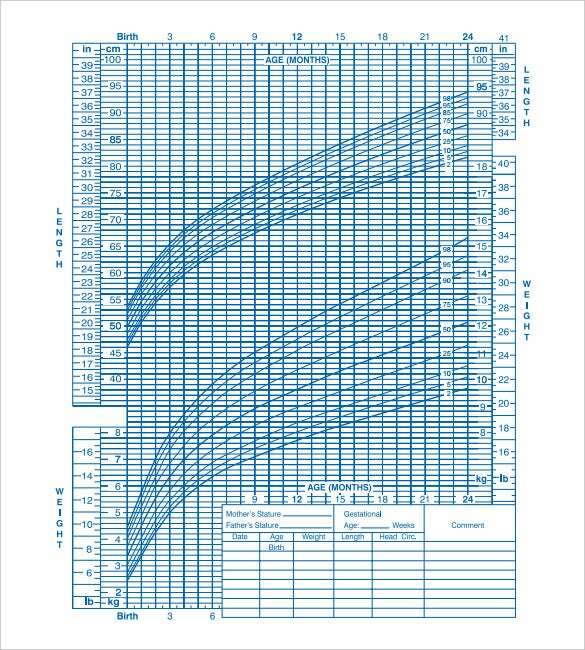 Simply print them and chart the baby’s growth on your own. 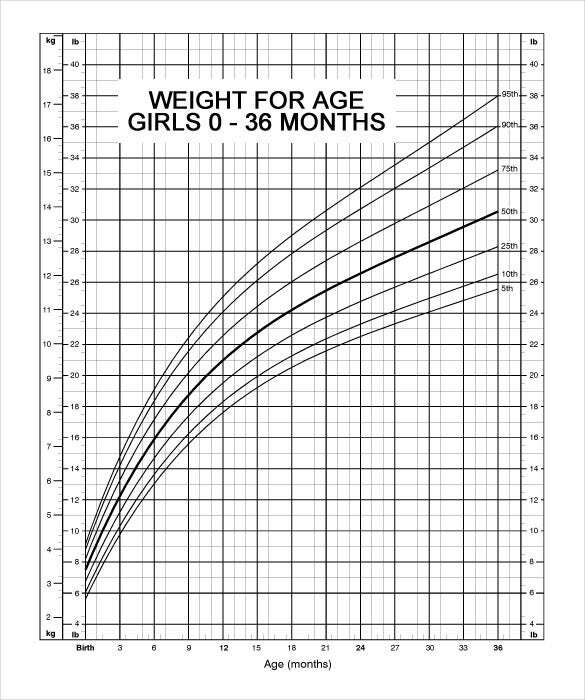 Charting your baby’s weight from birth helps the doctor know if the growth is normal or not. The best way to do this at home is to use a weight chart for babies. This is a chart prepared by experts in reference to WHO guidelines. They are available in PSD, PDF, Word, RTF, Excel and XPS formats. If you want to chart your baby’s weight and height as they grow, you need a good baby height weight chart. These ones are easy to read without complex things as percentile, ratios and such like graphs. They help compare the baby’s height to weight. Download one in Excel, Word, RTF, PSD, XPS or PDF formats. As a parent this gives you the average weight of your baby over time. 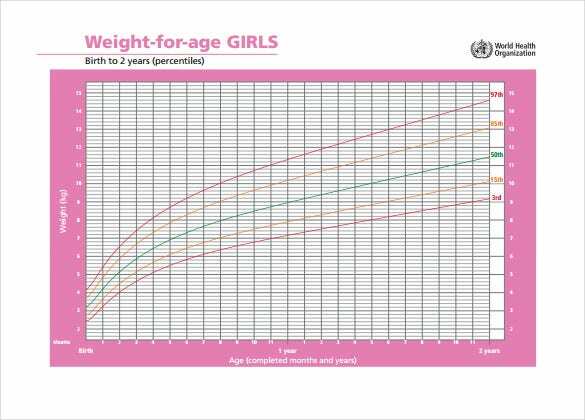 Since every baby has a different growth pattern, this average baby weight chart helps in charting the growth in comparison to other babies their age. It is available in formats like RTF, XPS, PSD, PDF and Word. Every parent, new or repeat would like to see their baby grow normally from birth onwards. A baby weight chart by month helps make this easy as it compares the baby’s weight gain and loss to the standard margins. The charts are available in RTF, PDF, XPS, PSD and Word formats. 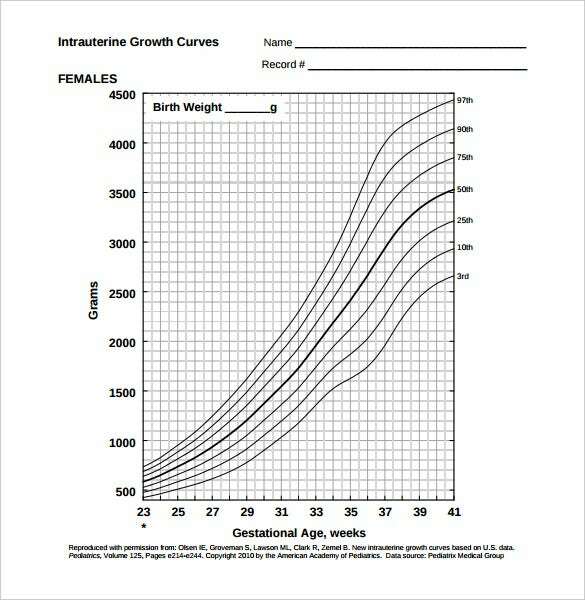 A baby weight growth chart compares your baby’s weight as they grow to that of other infants. 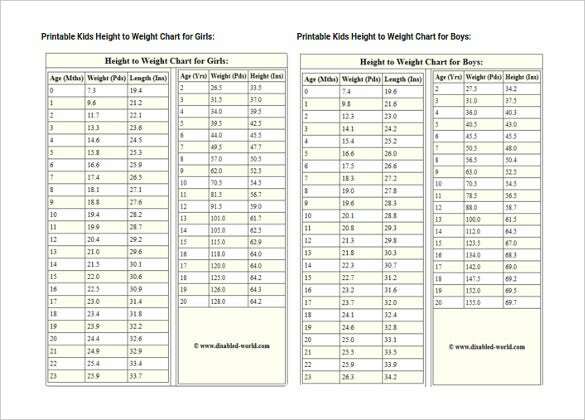 This chart provides you with the percentile weight of your baby based on age. It also tells you the percentage of babies weighing less or more than your baby. This is available in Word, PSD, PDF, XPS and RTF formats. 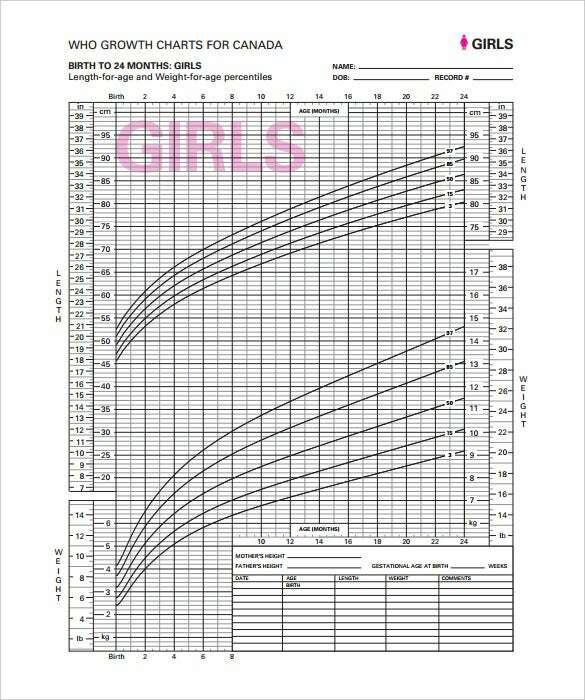 If a parent needs to know if their baby is growing well as from birth, a chart for the newborn is needed. 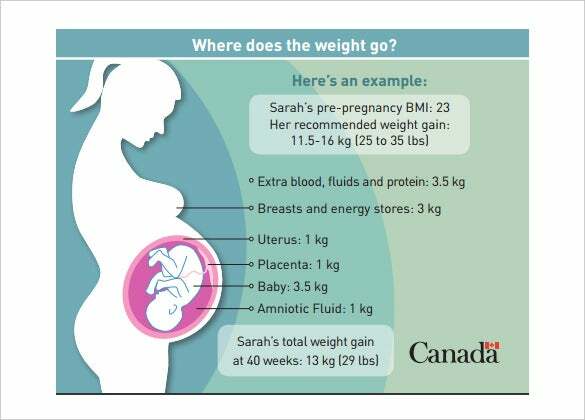 With a newborn baby weight chart, you can follow the weight gain and loss over the days from birth and report to the doctor in case of any suspicion. Download this in PDF, PSD, XPS, RTF or Word formats. 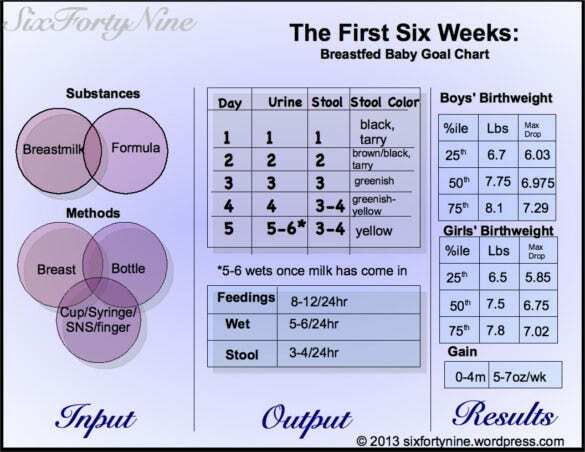 Since breastfeeding and using formula has different effects on a bay’s growth rate, a specific chart is important for the right results. 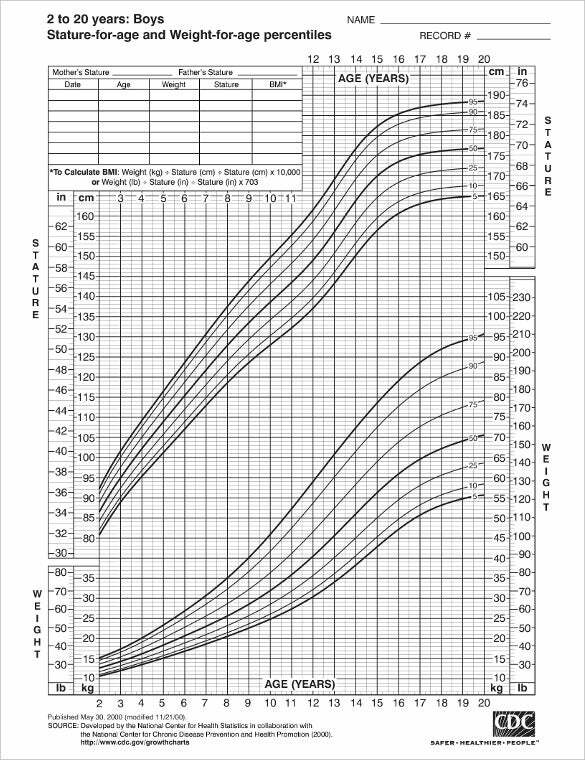 Use a breastfed baby weight chart for breastfed babies and monitor the growth against the recommended rates. This chart is available in RTF, Word, XPS, PDF and PSD formats. A newborn always has their weight charted during hospital stay and up to seventy two hours after discharge. A baby birth weight chart comes in handy as it helps in monitoring the weight change in case of any health concerns. This can be downloaded in formats like Word, PDF, PSD, XPS and RTF. It is at times tricky helping a new baby have a normal weight for every stage of growth. But with a baby normal weight chart you can give recommended food to help with weight at given ages. 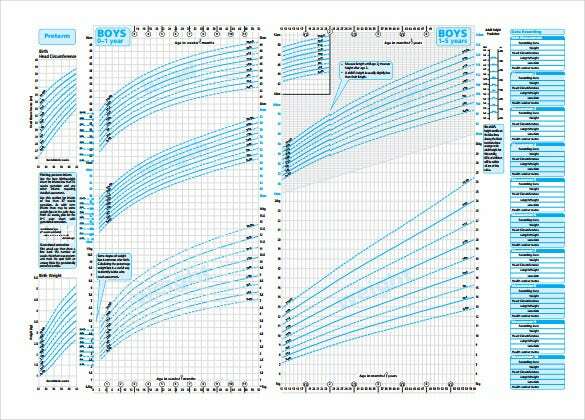 With this chart, any deviation can be reported to the pediatrician. It is available in Word, XPS, PSD, RTF and PDF.